✅ Trip Verified | My first time flying KLM on from Dubai to Birmingham via Amsterdam, the service in both KL428 and KL1421 was very impressive. The cabin crew was very engaged and were friendly. I noticed that most of the women cabin crew to Amsterdam were more mature, but they were switched on and experienced. Breakfast was not that bad, the cost of the ticket was worth it. The inflight movies are updated with recent releases. The selection is not a lot but at least it had the good new ones. Their SMS reminders/ messages are helpful. Plus, they have a Whatsapp account that keeps you on track. KLM thank you for the seamless first experience. Hopefully my return flight to Dubai would be a wonderful experience. "change was done without fuss or charge"
✅ Trip Verified | Arrived from Brazil into Heathrow and asked to be put on an earlier flight. (I was not confident enough to book earlier flight in case my inbound was delayed). The change was done without fuss or charge. I had important work in Amsterdam (photographing my first Champions League game) so the extra time was invaluable in terms of preparation time at the stadium. 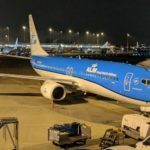 The flight itself followed the familiar format of a KLM European flight, sandwich and drinks served by as always friendly crew in a well presented 737 cabin. I have flown a lot of these short hops with KLM in the last 2 years and its a really nice way to fly. Flight was expensive but I did only book it 48 hours before. 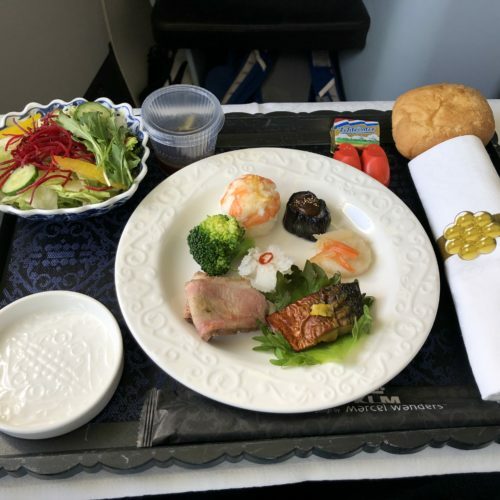 ✅ Trip Verified | I had a great flight with KLM from Tokyo to Amsterdam in Business Class. Decided to upgrade during online check-in for a reasonable amount of Flying Blue miles because there were a lot of open seats left. Check-in at the airport went smooth and security check was a breeze. Decided to spend some time in the Delta SkyClub lounge but wasn't really impressed by the breakfast they had on offer. Some fruits and bread rolls but nothing fancy. The seating options and the views over the tarmac were fine though. Boarding started on time and immediately after taking my seat the purser introduced herself and offered me a welcome drink. The crew on this flight was great and everything was done with a personal touch. One hour after takeoff lunch was served and the meal was great. After lunch I was able to get a couple of hours sleep in the lie-flat-seat. Think it was pretty comfortable. A second meal could be ordered any time you liked. I decided to try the guilty pleasure burger which tasted good but unfortunately the meat was still cold. After notifying the crew it went back to the oven again and after a few minutes the burger was hot and perfectly cooked. This B777-300ER was equipped with wifi but it didn't work for most of the time, probably because we flew on a very northern lattitude. When flying business class with KLM you also have to pay for using the wifi. Only the very slow message service is provided for free. 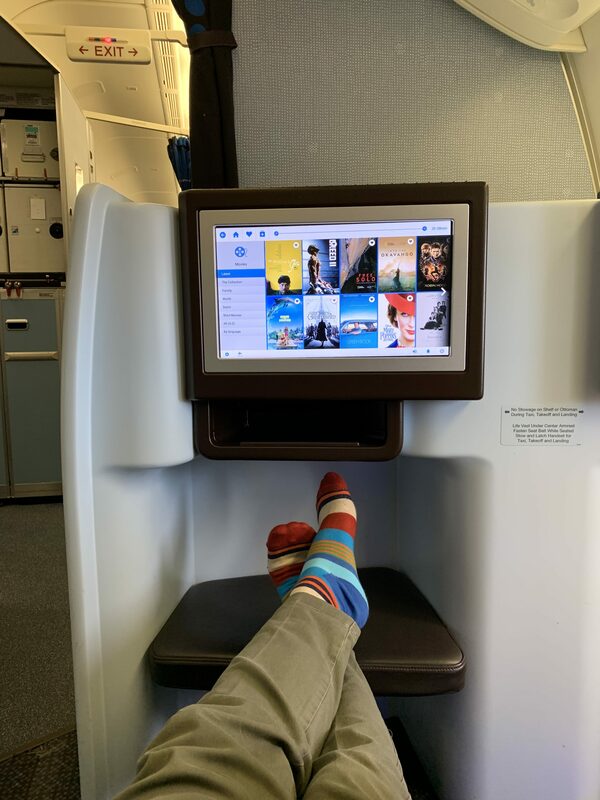 I had a very comfortable flight with KLM. Their hard business class product is not the most fancy one up to todays standards but the crew really made this flight very special. ✅ Trip Verified | Johannesburg to London via Amsterdam. First time in Business Class with this airline. Very comfy layover in Skyteam Lounge with wide choice of food and drink. Fascinating to compare in flight operation with recent experience on Air France. More down to earth cabin crew, warmer welcome and more care and attention throughout the flight. Senior Purser excellent team leader. Midnight departure from JNB but they still managed a drinks run, dinner service and second drinks run in less than 90 minutes. Seat too narrow for my shoulders in full lie-flat mode, but slept ok once I put it into recline instead. Excellent breakfast. Arrived slightly early. Only a short hop to LHR but crew still managed to serve a light lunch. Arrived ahead of schedule. ✅ Trip Verified | Amsterdam to Bangkok. KLM is getting better and better. Friendly staff, good food, also in between you can get enough drinks and bites. And nice new interior. Seat pitch not superb. "airline could not care less"
✅ Trip Verified | Booked KLM flight from Houston to Copenhagen (via Amsterdam). A few hours prior to departure KLM advised the Amsterdam/Copenhagen had been cancelled due to weather. I asked to remain on the Houston/Amsterdam flight but shortly after they advised me this flight too had been cancelled due to weather. Much to my surprise/dismay the Houston/Amsterdam flight took off on time whereas they re-booked me with Air France via Paris. This resulted in a more than 8 hours layover in Paris. Once in Paris I found a flight which could bring me to Copenhagen more than 3 hours earlier but KLM refused to move me to same as it was not a partner airline. I asked KLM for a lunch voucher (as per EC regulations 261/2004) and they refused same as well. This airline could not care less about your rights or needs as a customer and I would strongly warn anybody to book with same. ✅ Trip Verified | Good experience, crew friendly and attentive, meals tasty and seat full lie flat and reasonably comfortable. IFE screen was not a bad size but in comparison with other airlines was a bit small. The content choice was not to my particular taste but there was enough to get me through the flight. 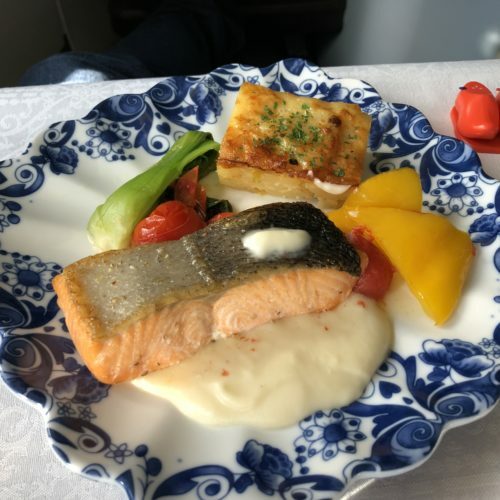 The Indonesian meal option was one of the tastiest I've had on a plane I do like the delft house gifts that’s a nice touch. If I've got a criticism of KLM its their website. Its not that easy to find what you want and when you do find it not all the information is correct. Their webmaster could do with a shake up to sort out the content. ✅ Trip Verified | Mumbai to Amsterdam. Worst Airline to travel. Extremely rude and unhelpful staff. I needed water and called the air hostess multiple times but no one paid heed. It might sound unreal but I had to wait for 2 hours before someone attended me! When the air hostess finally came, she says we will serve water with breakfast. I have waited for 2 hours to get you and you want me to wait more. Ridiculous. Absolute worst experience. Have travelled so many times through various airlines but even the cheapest of airlines do not have this bad service. "quality of meals was very poor"
Not Verified | Humberside to Santiago de Chile via Amsterdam. I am coeliac (gluten free) and requested the special meals. There were provided but the quality of the meals on the return flight in particular was very poor. There was not really enough to eat with the dinner (as they could or did not pad it out with bread.) I was hungry again straight after. The breakfast was particularly poor. Sometimes the special meals are provided jointly with another special type (often dairy and lactose free) and then they are particularly unappetizing. The hot part of this was small chunks of boiled potato, a quarter of a small cooked tomato and boiled spinach. Yuk! This was followed by a small fruit salad and a very small pack of some crisp bread that sticks to the teeth. At least on the way out they attempted to provided gluten free bread rolls. Those crisp breads are poor and so airy they do not curb an appetite. On a 13 hour flight this was not adequate and all the galley could offer at night were small bags of crisps (chips in American). I was lucky I had taken food of my own. "refuses to refund our expenses"
✅ Trip Verified | Munich to Havana via Amsterdam. 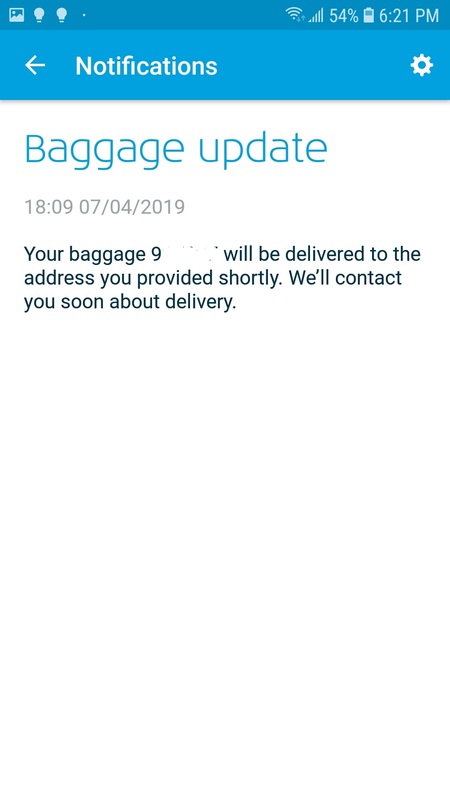 We are still extremely angry, because KLM refuses to refund our expenses of 400 Euros that we hadbecause they did not manage to send us our luggage. 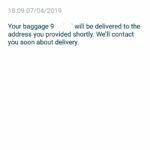 We got it on day 9 of our trip – and only because we no longer let KLM handle the situation. The communication of KLM is really outrageous. KLM refused to call us back on telephone due to their "social media strategy"! You do not want to read that wearing the same clothing for more than a week. No goodwill at all on the part of KLM. I have never had to complain before in this manner (I am not one of those annoying customers). 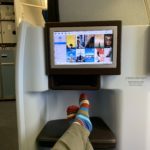 We were really looking forward to this trip and treated ourselves to business class tickets for our anniversary to have a memorable experience. Well, we have got that now. Positive points: nice food on flight from Amsterdam (much better catering than from Havana), very friendly flight attendants.